When was the first concession phone call? When Did Losing Candidates Start Calling the Winner to Concede? When the telegram went out of style. 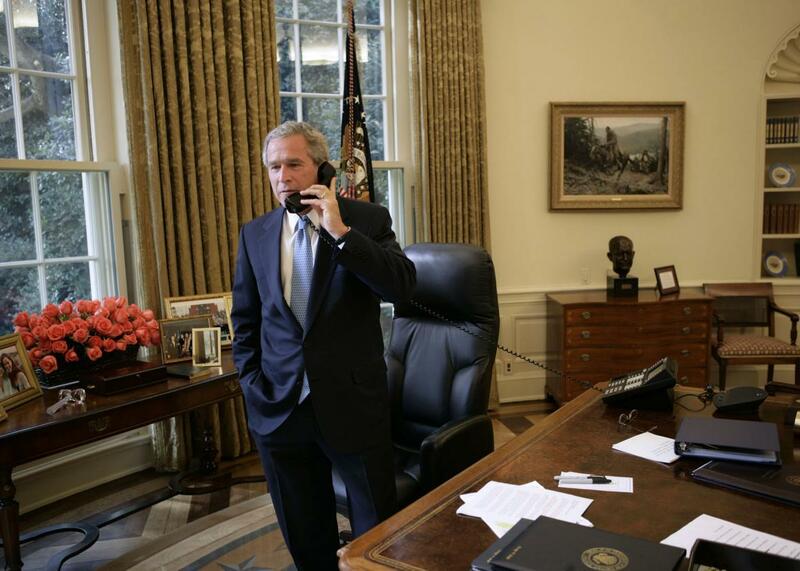 President George W. Bush takes a concession phone call in the Oval Office of the White House from Sen. John Kerry on Nov. 3, 2004. In the 19th century, when national election results were slow to arrive and unevenly distributed, candidates were expected to maintain a certain gentlemanly aloofness from the electoral process. Losers in presidential races tended to concede privately, or, later, through statements printed in newspapers. But as communications improved and media saturation increased, public concession statements, augmented by courteous messages between opponents (often shared with the press), became de rigueur. The visible proof of courtly communication between rivals served to defuse any anger over the result—anger that might manifest more acutely in an era when everyone found out about the outcome at once. I relied upon Scott Farris’ Almost President: The Men Who Lost The Race But Changed The Nation in writing this Explainer.